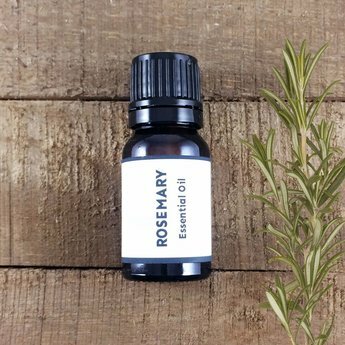 Rosemary (Rosmarinus officinalis) essential oil has a green-camphoraceous top note with a resinous-herbaceous, woody undertone. A warming oil that improves circulation, moves lymphatic fluid, opens the sinuses, improves mental clarity and disinfects. Add a few drops along with peppermint, lavender and citronella to a base of water to a spray bottle for a bug repellent. Atlas cedar, bergamont, forest pine, frankincense, holy basil, lemon, lemongrass, mandarin, peppermint, sandalwood, sweet orange. Fun facts: Rosemary was one of the first essential oils to be distilled in the year 1330. In the middle ages it was burned to fumigate sick rooms. Cautions: Considered on-toxic, non-irritant and non-sensitizing when diluted appropriately. Do not apply rosemary undiluted on skin. Use with caution in cases of high blood pressure.